We worked directly with the students at this elementary school to complete this project. 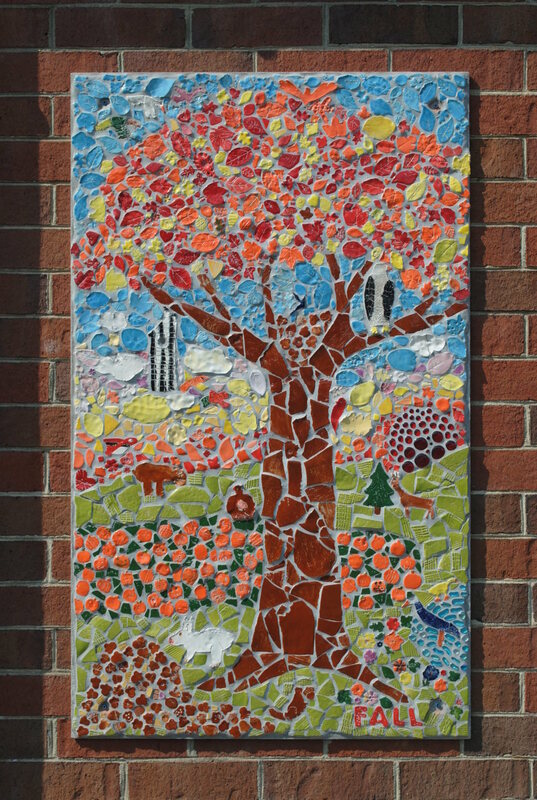 For the mosaic series, students in grades K-5 created and glazed the tiles, then assembled them in the panels with the assistance of our mosaic artist, their art teacher, and parent volunteers. Fifth grade students helped our metalsmith design and assemble the bridge.